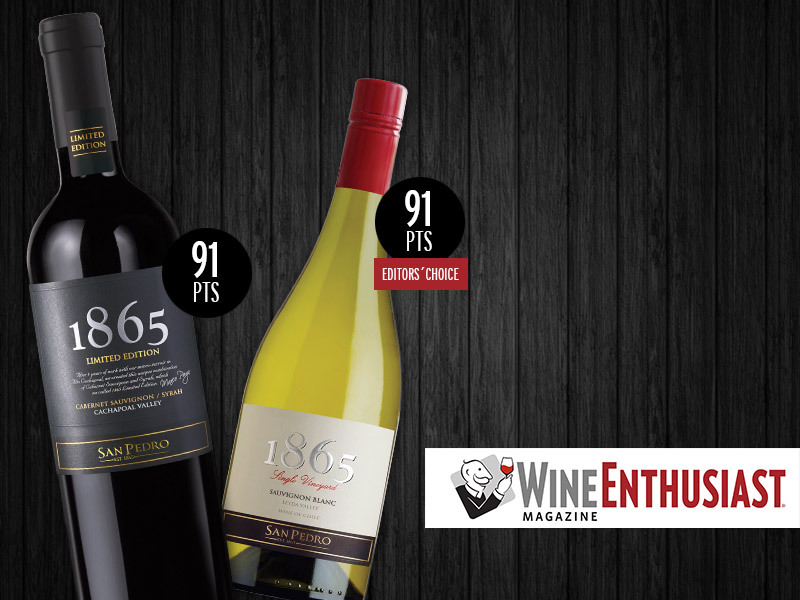 The prestigious 1865 range from Viña San Pedro stood out with robust scores in the August edition of Wine Enthusiast. “Fresh, angular aromas of jalapeño, bell pepper, beach breeze and citrus fruits are elegant, chiseled and potent. This tingles with acidity and tastes minerally, with orange, tangerine and lime flavors. A stony, bright, pure finish confirms its high quality”. “Aromas of Italian herbs like basil and oregano blend with eucalyptus and black-fruit scents. Chunky, clampy, bumpy tannins define the mouthfeel on this Cab-Syrah blend, while roasted flavors of plum, berry and chocolate finish herbal, meaty and warm”.